When you are opening a brand-new office, or you’re refurbishing an old one, there are many things to take into account. You want the place to look and feel just right, and that means thoroughly researching a lot of different aspects; that includes the office furniture. Getting furniture that looks right but feels wrong won’t help you and can even damage the productivity levels of your employees. Getting something that feels comfortable but looks ugly isn’t much good either. It’s all about striking the right balance, and our guide below should help you when it comes to picking items that are just right. There’s not a lot you can do until you know how much you can afford to spend. Financing a business start-up is a process of checks and balances, and no one wants to spend everything they have available on making their office space look nice when they should have been spending more on marketing or equipment. Yet the office does still need to be part of your budget. To begin with, you will need to work out how much furniture you want to buy. How many separate chairs and desks? 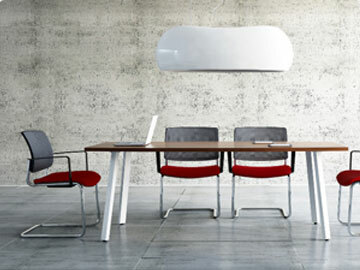 Will you be having a meeting room and what do you want in it? What about a break room? Once you know how many items you need, you can start working out how much you have available to spend on each item. Knowing your budget will also help you to narrow down your choices so that the task doesn’t seem too overwhelming and doesn’t take so much time. Focusing on giving your employees (and yourself) what you need is crucial if you want an office that helps with the company ethos and productivity. With everyone going to be sitting all day, or at least for a large portion of it, the desk and chair they have to sit at has to be not just comfortable, but ergonomic too – that means it’s good for their health because it helps with their posture. But what if you don’t want a ‘traditional’ office set up? If you want something different like a café feel or open plan hot desking space, then you need to ensure that this is going to meet your employees needs as well as your aesthetic ideas. Take a look at the space you have to work with. 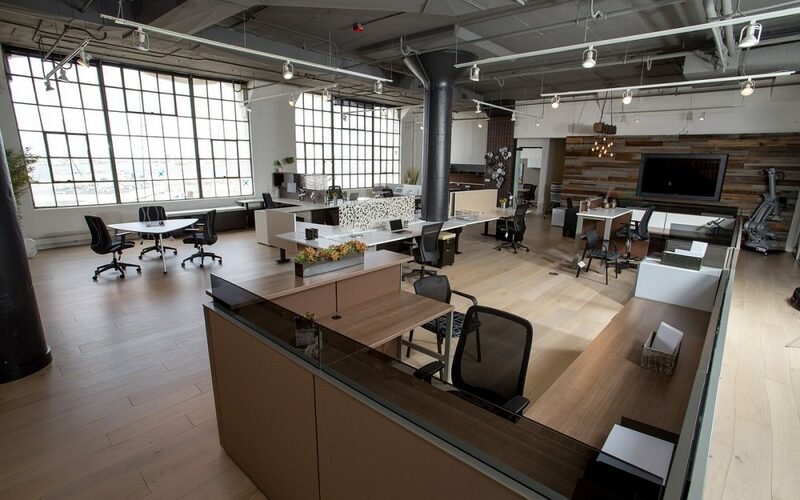 Once you have all the furniture in place, is that space still going to be as useful as it was when you looked around an empty office and thought it was ideal for what you wanted? If you choose functional yet flexible furniture it will be. That means making sure that desks have inbuilt storage so that you don’t then need to pay extra for filing cabinets (which also take up a lot of additional space). It means checking that there is space for everyone to stretch out and that the desks aren’t all cramped together. If that means having one big table where everyone works, then so be it. If it means putting cubicle dividers up then that’s what you need to do. The space you have isn’t going to change, so the furniture you put in it needs to be what makes it all work perfectly for you and everyone else too. So, you’ve chosen the furniture you want and it fits with your budget and design aesthetic. It’s comfortable; it’s ergonomic. Next you need to make sure it’s all going to fit. Having a cramped office space is not conducive to a productive working environment, so the size of the furniture you buy has to be taken into account. People don’t actually need as much space as you might think when it comes to their actual desk; it’s far better to give them more room to move around instead – the negative space is what counts. You want your workers to be as healthy and productive as possible, and although an ergonomic set up will go most of the way towards that, the way the office is designed will finish the job and create the best working atmosphere for you and your team. Working out what colour to use, for example, may seem like it is just a question of personal choice, but there is scientific evidence that some colours are better than others when it comes to productivity. Blue exudes a feeling of tranquility and calmness. Orange is about energy and creativity. It’s also important to ensure the colours you choose don’t clash otherwise you could have a problem when it comes to how happy your employees are.